Houston Whisker Sitter offers an alternative for your pets when you go on vacation, a business trip or are just stuck in traffic and can’t make it home on time. 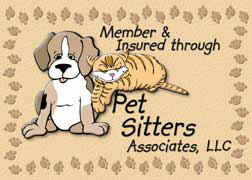 You can leave your pet in our capable hands, knowing they are in the comfort of their own home and surroundings. We offer several services to meet all your needs. Not only are your pets in a place they know, but your home will be taken care of also, with newspaper pickup, watering of plants and changing of lights for the lived in look, all of this for no additional charge. Whether it is a once a day visit for the kitty, or two to three times a day visit for the puppy, we are there to play, walk, love and generally just make your special “fur” baby happy and comfortable. Houston Whisker Sitter services the Tomball, Magnolia, Spring and Cypress areas. We will be more than happy to keep your pets company when you can’t.